Bob Feroze is a Member in Dykema's Real Estate and Environmental Practice Group in the Dallas office. Mr. Feroze focuses his practice on real estate development, financing, leasing and construction projects for industrial, office, residential and retail uses. Prior to joining Dykema, he practiced with an AmLaw 100 Firm in Dallas. 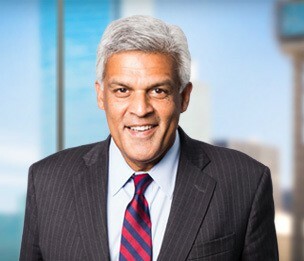 He was the Chair of the Real Estate Department of a prominent Dallas firm through 2007.